VPN stands for “Virtual Private Network”, which extends across a public network. Let’s say you want to access something on your computer using the Wi-Fi at the nearest coffee shop. Even a three-year-old would know that’s not a good idea – mostly because public hotspots are vulnerable, and that applies to your office network as well. That’s why many big corporations allow employees only to access company intranet trough VPN Clients. From user’s perspective that creates a virtual tunnel with security protocols, making resources available within the private network to be accessed remotely over a public one. Your office computer acts as if it’s on the same local network as the VPN on your personal laptop. All your network traffic is sent over a secure connection to the VPN. But! There is always a “but”, isn’t it? Notice we gave an example with big enterprises, because reliable VPN with no restriction on web traffic is not cheap. Of course, there are free or cheaper VPNs available, however, these are not recommended for security reasons. Many such services are known to have violated users’ privacy by logging their consent or even make money by selling bandwidth to other users. Even if you go for a proper VPN, you will still need a careful configuration and set up, as well ongoing maintenance from an IT professional. Additionally, an onboarding procedure would need to be followed for every new colleague. Ugh. Let’s circle back to the example from a moment ago. You’re still at the coffee shop, and you need to take one last look at a presentation you need for your next meeting. Sure a VPN can be a secure way to access physical data on your computer or server. But is that what you really need? You are getting distracted from you main intent, namely: “I need that PPT right now, and I only have a few minutes to take a look at it before my next meeting”. This is where the cloud comes to the rescue. Cloud storage services like pCloud enable you to access any file in a fast and secure way, no matter the device you’re using. You can either use our web client on mobile or desktop, or use the pCloud smartphone or desktop apps. 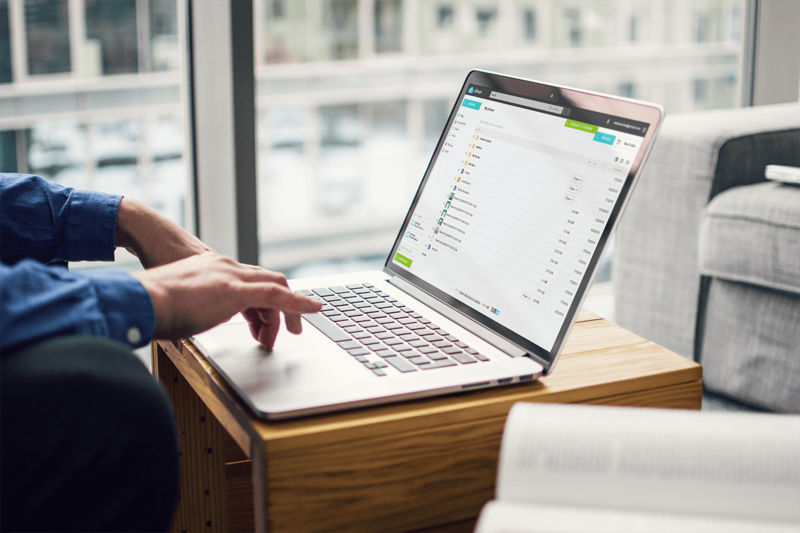 While both VPN and pCloud can be used to facilitate the exchange of files through, say, a shared folder, setting up one of these folders is much more intuitive with pCloud. It doesn’t require any technical skills, adding user accounts is as easy as entering an email address, and your team doesn’t need to figure out how to work with a new piece of software. Remember FTPs where you have to download and then re-upload every single change, every single file? VPNs allow you to share files far easier and edit them directly on the local server you are accessing, but with one major trade-off: the speed. Because everything happens over the web, you depend on you internet connection and the ability of the VPN server to handle incoming requests. 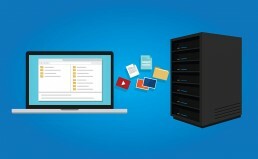 While VPN and cloud storages look similar to each other, there is one major difference. Unlike VPNs or other cloud storage services, with pCloud you don’t have to store the file on the local server or someone else’s local hard drive. That unique feature not only saves expensive local disk space, but also makes fewer conflicts when more multiple changes are done on each individual local copy. A bit more complicated than you expect. Rather than giving permission to the in-house employee, you will have to give the same level of access to your private network to a regular third-party client or contractor. If you still insist on using VPN for that sort of sharing you will need an IT to implement SSL VPN (Secure Sockets Layer) with access restrictions. It’s far easier when using cloud storage. You can determine the folders your client needs to see and give them permission for preview, view only or to edit files in your account when it’s necessary. If only a download or upload is enough, you can generate links with passwords and expiration dates. You can also revoke the access simply by disabling the link. This can be a problem for VPN services. Each time you save, the entire file is sent through the VPN connection to the private network, which can be problematic with large files. Whenever you make a change with pCloud, regardless the size of your file, only the portion of the file that is changed is synced and saved. This not only saves you bandwidth but makes syncing across devices way faster. And as I mentioned – there also no file size restrictions! VPNs do not support file revisions. Just like with regular servers, there’s only one copy of a file kept. If a change is made and the information is lost, once uploaded back to the server, the information is gone forever. A common solution is naming every single file with a version name and uploading all file variation. However, in my opinion, this leads to misleading control and potential chaos. Here at pCloud, we track every change into an easy-to-access log. Every version of a file is stored for 180 days and can be restored anytime you want from our web client. Most of the VPN clients focus not on file sharing but rather on establishing an encrypted connection. This means that if you want to use VPN on a mobile device, you would have to download a separate VPN app and connect it to your file server. That takes time and when working on mobile, time is everything. 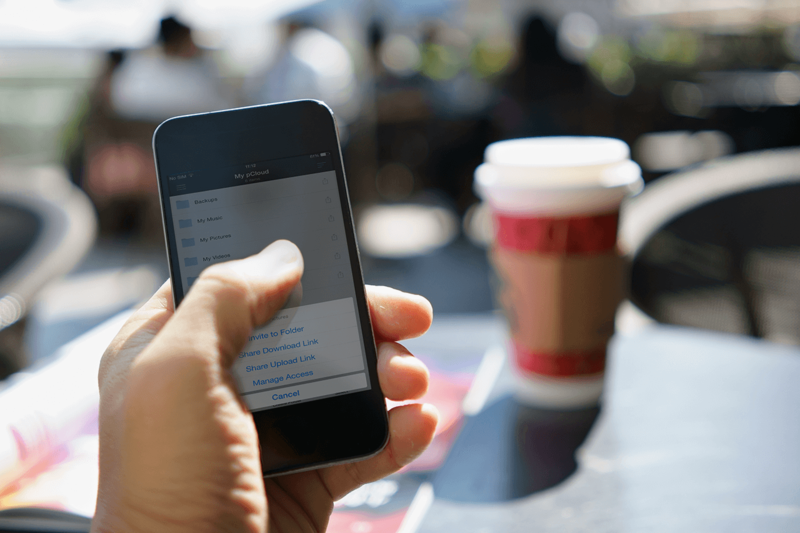 When using a pCloud Business account, every user can download the app. After the initial login, an encrypted connection is created every time you tap on the app icon. You can access the whole full-fledged file system just like you do on the web or desktop clients. Our full-featured app lets you do everything you want like sharing folders and files, as well selecting files for offline use too. P.S. My first encounter with the VPN was at the university. I hated it. It was terribly slow and whimsical. Sure, I’m biased, but if you noticed such problems too, then it’s time to give the future a try.